Holed up over New Year in a cottage in the Cotswolds, warmed by a logburner, miles of hedgerows white with frost beneath a white sky outside: a good time to catch up on some reading. 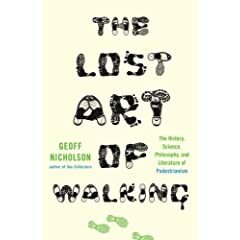 The Lost Art of Walking by Geoff Nicholson (‘The History, Science, Philosophy and Literature of Pedestrianism’) was a very welcome birthday present and I read it in a couple of days. It is a wide-ranging and accessible read, with a useful bibliography. 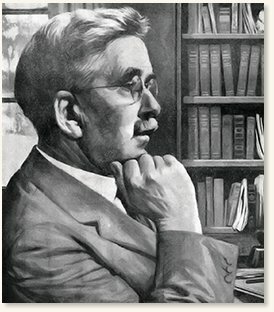 Nicholson covers many forms of walking, and is an amiable and knowledgeable companion throughout. He is refreshingly dismissive of the type of new age thinking that sees ‘nature’ as (just) a nice and cuddly source of people-friendly goodness, and amusingly disappointed by a psychogeography conference. He champions actual walking over excessively intellectualised approaches (‘…walking isn’t much good as a theoretical experience….you can add things to your walks – constraints, shapes, notions of the mapping of utopian spaces – but you don’t need to.’) He does however devise and undertake an ‘endlessly strange walking project’ of his own, involving multiple transits of Oxford Street He also rewalks some journeys of his childhood, as I am doing, so a tip of the pilgrim hat goes to him for that. And I have found another kindred spirit in Nicholson’s pages – someone who made a long journey on foot culminating on his fiftieth birthday – none other than Albert Speer. Yes, the Nazi architect and Minister for Armaments once walked 620 kilometres, from Berlin to Heidelberg, arriving to celebrate his half-century in 1955. He was in Spandau prison at the time, actually walking in 270-metre circuits in a garden he had designed, with pal Rudolf Hess keeping count. I know little of Speer, apart from an odd fact that he was contemptuous of filing records and papers – another thing we have in common. …a vintage Millennium Falcon is calling to me once again, surrounded by equally pristine Star Wars antiques. I want to pull out that NatWest debit card and buy the whole lot, and somehow make it 1980 again, with my gran still alive, and my parents still young and fit, and the dogs stealing chocolate buttons from the Presto selection box on the coffee table that my uncle Trevor made in woodwork class. 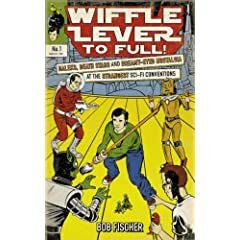 Having made a few abortive attempts to conjure the past myself, and sharing many subcultural reference points from the communal storytellers’ fire of TV, film, comics and books, I found it an enjoyable read. One quibble though – I don’t know how it is in Teeside [spelled wrong know, see comments], but that’s ‘science fiction’ or ‘SF’ feller, not, I implore you, ‘Sci Fi’. And I’m still going to hide the book in a lead-lined casket whenever Pete and Jen come around. Adventures are a logical and reliable result, and have been since at least the time of Odysseus, of the fatal act of leaving one’s home, or trying to return to it again. All adventure happens in that damned and magical space, wherever it may be found or chanced upon, which least resembles one’s home. As soon as you have crossed your doorstep, or the county line, into that place where the structures, laws and conventions of your upbringing no longer apply, where the support and approval (but also the disapproval and repression) of your family and neighbours are not to be had – then you have entered into adventure, a place of sorrow, marvels and regret. Suppose that you are off for a holiday, and that on a Wednesday in July you set out for Bassenthwaite, armed with some sandwiches of pressed beef and a flask of whisky [a delightful idea]; is so doing, though you know it not, you have in half a dozen ways entangled yourself with the varied threads that form the web of English History. The day that you chose commemorates the greatest of the Saxon gods; the month was called after the founder of the Roman Empire; your journey’s end will be a lake named by Vikings; your solid food was christened by the Normans; and your drink (unless you add soda, which is Italian and comparatively modern) will be the water of the ancient Gaels. 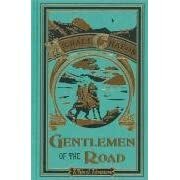 One thing that I can do between actual walks is buy books which might give some insight into the places I’m headed for. Usually I look in secondhand shops, which involves frequent encounters with the King’s England series, 41 mainly county-themed books edited by Arthur Mee, starting in the 1930s. 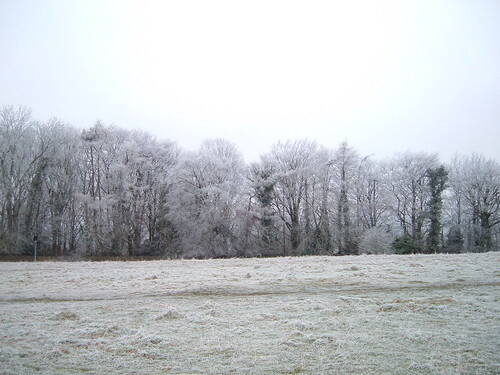 There has been some interest in Mee recently, including a radio programme and an informative blog post by Steve Holland. I remember reading Mee’s Children’s Encyclopaedia and One Thousand Beautiful Things when I was small, marvelling at the wonders of nature and Empire. 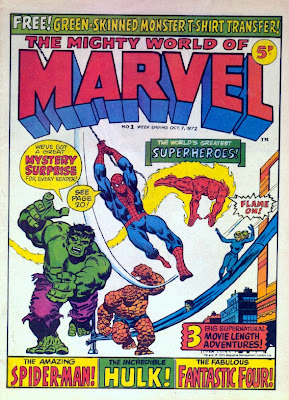 I also remember my Nan pointedly remarking that Mee’s Children’s Newspaper (which ceased publishing when I was about three) had been a good read, after I had forced her to take me to a newsagents so that I could buy The Mighty World of Marvel or somesuch. The Kings England kicks off with Enchanted Land, subtitled Half-a-Million Miles in the King’s England – ‘a New Domesday Book of 10,000 Towns and Villages’. This exuberant book, a sort of metatext for the whole series, speeds around the country, rushing to everywhere wide-eyed and enthusiastic – a bunch of people seeing ‘a hundred thousand lovely things in our half million miles’. It is a bracing read, which makes visiting a carved font in a village church seem as eye-poppingly exciting and unprecedentedly new as, say, teleporting to undiscovered planets or riding dinosaurs. 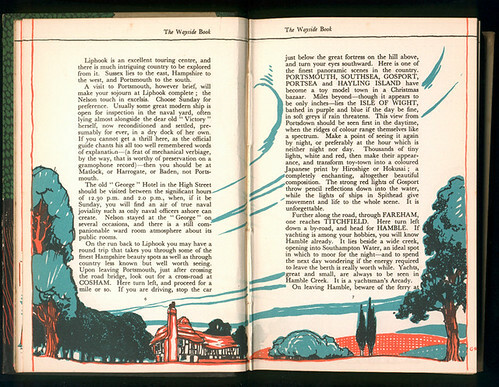 Enchanted Land has thematic chapters (such as The Great Roads and the Little Lanes) rather than geographical ones, so it doesn’t work well as a guidebook o gazetteer; in the index one finds ‘Past, our Wonderful’ next to ‘Patcham’. But it is great for serendipitous discovery: Patcham church, for insyamce, has an interesting depiction of Judgement Day above it Norman chancel arch. I recently found a book that attempts something similar but with a very different flavour: The Wayside Book by Gilbert Rumbold, published in 1934. Like Mee and his associates, Rumbold travels vast swathes of England, rattling off a series of brief comments on places visited. It is ‘a compendium of odd places wherein charm lies awaiting appreciation’, dedicated to ‘all true vagabonds who carry a silk purse and know a good living when they find it’. However, whereas Temperance-campaigner Mee was understandably disinterested in ‘hostelries’, Rumbold gives them much loving attention. Indeed, he seems almost impatient to get to licensed premises and tends to give them more space than the conventional historic attractions: ‘Near the fine castle stands the Bell hotel, another fine old inn whose interior yard has been converted into a lounge hall. Mainly Georgian in its quite graceful proportions…’ In a way his insider’s view of various ‘ancient hostelries’, coaching inns and ‘modern roadhouses’ is a precursor to today’s Good Pub/Ale/Beer Guides, and I look forward to testing out the continued validity of his views. I see Rumbold as a slightly raffish cousin to Mee – an appropriate role, perhaps, for the man who illustrated The Savoy Cocktail Book. In my own way (camp, tangential and misanthropic as it may be) , I also hope to ‘quench the thirst for adventure with the fine wine of romance, or the good ale of contentment’ as one of Rumbold’s vagabonds, and to set down what I have ‘seen in this Enchanted Land’ like one of Mee’s ‘recording angels’.